Welcome to a new work in progress here at multiasian.church. I confess that I don’t have everything figured out and most everything is not planned just yet. I don’t mind sharing with you and the world, even as things are just starting out, and not even the foundation is set in concrete yet. It’s a behind the scenes look at how to start something, when the only thing in place at the moment is a registered domain name and an installation of WordPress to run this website. There isn’t even a curtain to pull back to show the behind-the-scenes action. What you see is what you get, and pretty much as much there is to say about the subject of what’s going to happen here. I won’t say everything that’s brewing and developing in my head. But what I can say is that I’ve been recently inspired to take that next step. And that’s more of the way I work, personally. I don’t draw up the plans and details first. I start into action when inspiration strikes. And I’m grateful that the dream has come, after a number of years of incubating and discerning what all is this that God’s doing in the generations of Asian Americans today and in the future. I think it’s as good a time as any to get started. 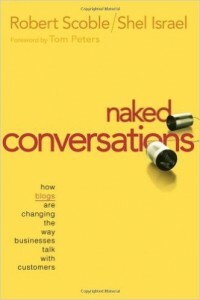 And I’m inspired by a book that started to be written in 2004, first as a series of blog posts with an invitation the public to provide feedback, and then later compiled and edited into a print book published in 2006 by a traditional publisher. 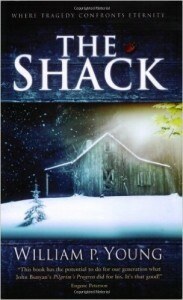 I’m also inspired by the self-published paperback titled The Shack. It doesn’t necessarily take a traditional publisher to reach the right audience. Sure, I’ve got some connections I could pursue first and some advisors that I could seek counsel from before taking on this effort. Or I could invite them, and invite you, along as I get started. Very unconventional, I know, but that fits me the best. I’m unconventional myself. Here’s what I’m thinking. My timeline from start to finish of a book project, if that’s what shape this turns out to take, will not take 2 years. I’ve heard that a conventional book takes at least 18 months to write and edit, when going with a traditional publisher. I’m not sure how much of an audience size there is for the things that I’m interested in and what I’m considering embarking on putting into written form. So, rather than waiting for everything to be perfect, I’m just going to get started. Here goes.